Microsoft’s goal was simple: find an app monetization partner who shared their commitment to the success of Windows 10 app developers. Smaato, with its programmatic mobile advertising platform, was a perfect fit. Smaato has been excellent at building a great working relationship with Microsoft based on trust and impressive results. They completely understand our mission to help developers succeed, and have been a supportive app monetization partner every step of the way. What happens when a technology heavyweight teams up with the leader in mobile app monetization? For Microsoft’s partnership with Smaato, a dramatic rise in eCPMs ultimately led to 20% quarterly growth in Microsoft’s mobile ad revenue for Windows 10 apps. While many people think of Microsoft as a pure software company, it’s also a large app developer and publisher with a global community of engaged users. In addition, Microsoft facilitates third-party developers from 120 countries around the world to publish ad-enabled apps within the Windows app store. Today, this digital marketplace has delivered 7.5 million hours of store engagement since the launch of Windows 10. App development is a highly competitive market and app monetization is a crucial piece of the puzzle. While Microsoft was already working with other monetization solutions, they needed a fresh, new source of revenue to maximize ad earnings for its app development partners. The company was looking for a global monetization solution that could offer high yields with consistency, transparency, and reliability. By collaborating with Smaato, they found a partner who could deliver all three by focusing on the unique needs and priorities of Windows app publishers. Smaato is a great companion and true partner in Microsoft’s journey to empower developers to realize their full potential. Our developers directly benefit from their clear focus on Microsoft; the release of Smaato’s impressive Windows 10 Ad SDK is a testament to this effort. Smaato established a unique position within the Microsoft advertising ecosystem as a full-service ad platform for Windows app developers. Microsoft simply delivers requests from their developers to fill ad inventory, and Smaato’s account management team runs the entire monetization process. As one of their first partners to release a Windows 10 Ad SDK, which can be directly integrated as part of the client-side ad mediator in Windows apps, Smaato expedites monetization for app publishers on multiple levels. Once Microsoft adopted the Smaato Publisher Platform (SPX), Windows app developers could leverage its real-time bidding (RTB), an auction-based system that stacks demand-side partners to bid for mobile inventory in real time. This allowed the developers to earn better rates for their ad inventory and reach a global demand network. In addition to generating revenue from the open exchange, Microsoft was able to take advantage of private marketplace (PMP) deals which allow publishers to handpick specific demand-side platforms (DSP) traffic. The flexibility to participate in open and private deals, both in and out of the network, was essential to meet the varying needs of 100,000+ publishers in the Windows app store. As the partnership grows, Smaato has begun exploring Behavioral User Segmentation for Microsoft, where Windows app users are sorted into specific cohorts (like car enthusiasts or female shoppers, for example) based on user behavior. 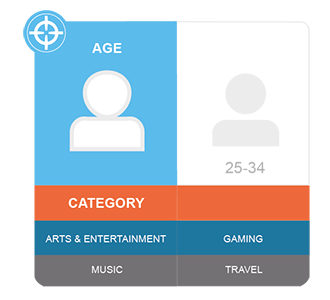 As segmentation data increases over time, Smaato will be able to assign each cohort a product ID that can be easily passed onto advertisers looking for specific types of traffic. Subsequently, each ad space becomes more valuable and works in conjunction with Real-Time Bidding (RTB) to maximize revenue for Microsoft’s developers. Smaato’s expert monetization team and mobile advertising technology combine to deliver high eCPMs, so that developers can focus on what they do best: creating great apps. The Microsoft-Smaato partnership has yielded outstanding ad revenue growth for Windows app developers. Since launching with Smaato, app monetization revenue for Microsoft’s developers has averaged 20% growth every quarter, through deals, mediation, and most importantly, Real-Time Bidding (RTB). The key metrics behind this growth—greater fill rates and higher eCPMs—continue to exceed Microsoft’s goals, and Smaato regularly places within Microsoft’s top three monetization solutions for the total amount of ads served. Smaato is one of Microsoft’s most valued partners in the advertising business. Over the past year alone, we have expanded our footprint to serve ads in 15 of the top Windows markets worldwide using Smaato’s mobile ad platform.